As with any job you want to make sure you’ve done all the preparation that’s necessary so that you can simply concentrate on the painting and nothing else. That means putting down covers for furniture and flooring, using painter’s tape on areas where you want to paint an edge like cupboards and windows, and cleaning walls of dust and grease to make sure the paint goes on easily. 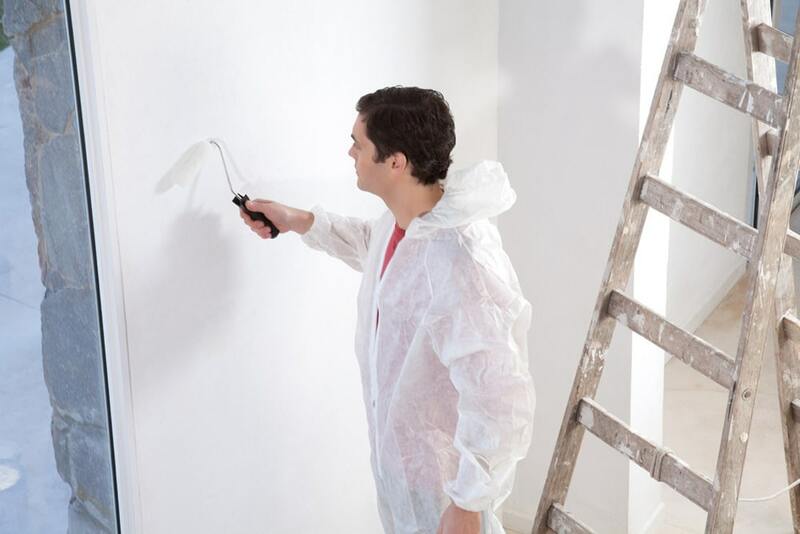 While it might seem prudent to buy cheap paint, picking at least a mid-range product is generally more productive and safer when it comes to getting the desired result. The same goes for the roller and brush you are going to be using – budget brushes tend to leave stray hairs in the paintwork and stop you concentrating on the job at hand as you try to pick them out. Rollers, if they are low quality, can soak up paint unevenly and make it difficult to get a good coverage. When you open the paint, stir it well and make sure you have an even mix all the way through. Paint can sit in stores for months on end and separate slightly so a bit of agitation is needed to get everything just right. You need to do this with any paint whether it’s water based or oil. Also, if you’re going to be needing to use more than one tin of paint then it would be sensible to mix it all in together before you start as it is possible for there to be slight variations in color from different batches and you don’t want an uneven finish to your work. You can’t see lines and patches if you don’t have enough light or can’t see properly. If you’ve ever painted a wall at night and then come down in the morning and found patches all over the place, you’ll know what we mean. 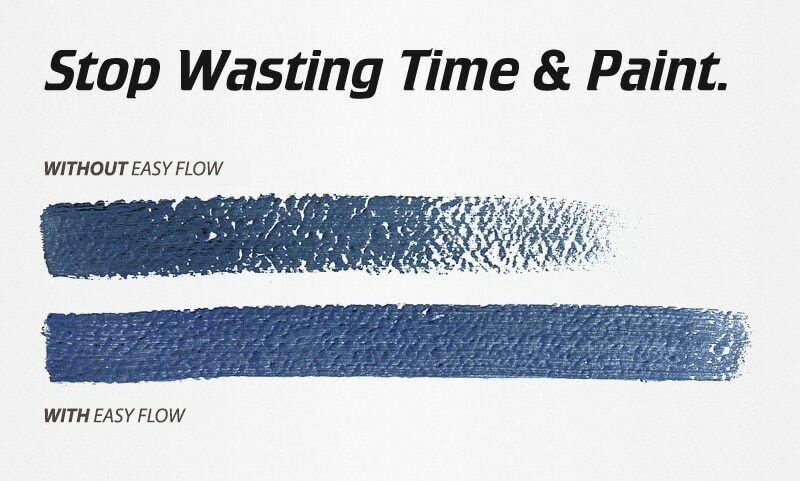 Easy Flow: Designed to be used with water based paints and make them perform more like oil-based ones. The good news is that this helps reduce any unsightly marks because it improves the flow of the paint. It also maintains the wet edge for longer, allowing you more time to get a good finish. All you need to do is add a little to your paint as per the instructions and stir in well. It doesn’t affect the inherent qualities of the paint or its color. Owatrol Oil: This product has the same purpose as Easy Flow but it’s a paint conditioner for oil-based paints rather than water-based finishes. In addition, it also acts as a rust inhibitor and helps to prevent cracking and peeling. Again, it’s easy to use and one of the best ways to get a great finish. You may not need a paint additive for every one of your decorating jobs but it’s a useful product to have on the shelf and a godsend if you find you’re not getting the smooth coverage you need. It helps keep the edges wet as your painting and produces a highly professional finish. A paint additive is also helpful if you’re going to be painting in less than ideal conditions – for example if it’s really humid or a little cold for painting. Finally, it pays to take your time and put on the paint with even, fluid strokes. 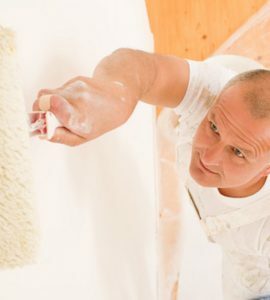 Whether you use a roller or a brush, being in too much of hurry to finish a job can mean you don’t cover certain areas properly and then have to do extra work to get the final finish. Please see the Product information sheet for specific requirements for your paint but as a rule we would recommend 10%. Please let us know if you have any further questions. You can order directly from our website and we can ship across the USA. where can owatrol be purchased in southern california?